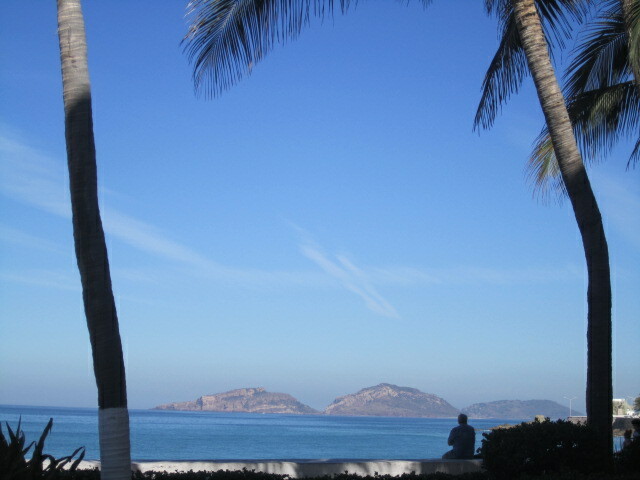 Mazatlan is known as the Pearl of the Pacific because of it’s friendly people and the beauty of the beaches. 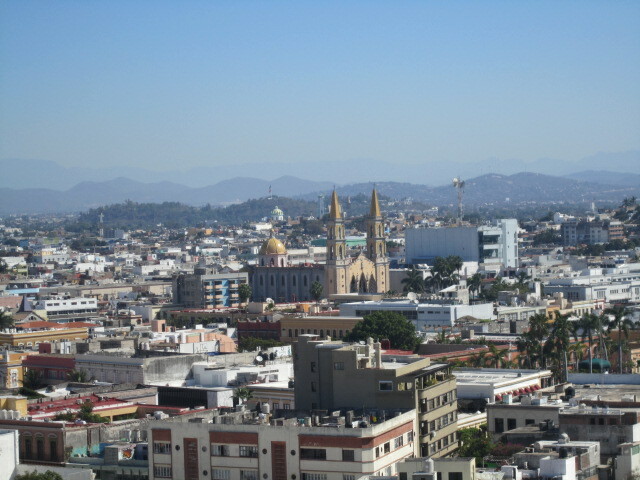 It is the second largest city in the state of Sinaloa. 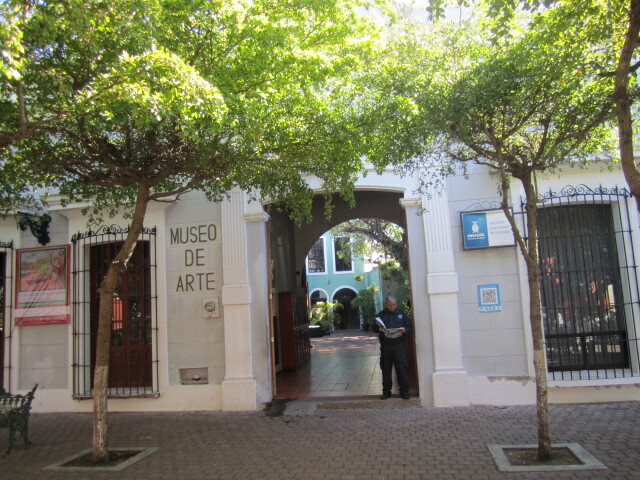 It was founded by the Spanish and Indigenous people in 1531. In the mid 19th century, the Germans came and they settled and developed the area. 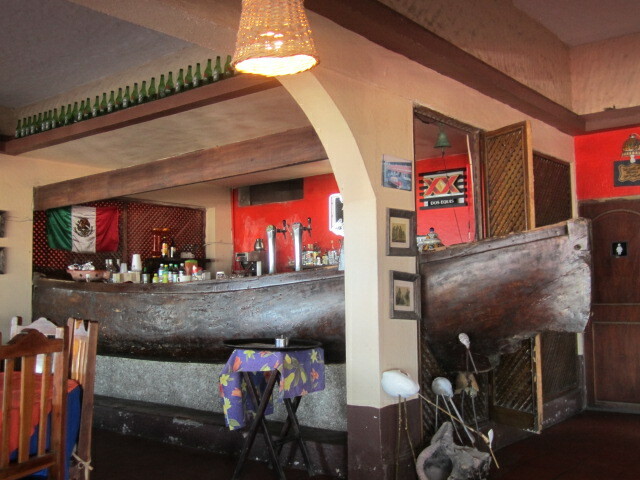 It is located directly across the gulf from La Paz which is located at the tip of Baja. There are car ferries that go from one city to the other. Also, many cruise ships dock at the Harbor in Mazatlan. The word Mazatlan is a Nahuatl word which means Place of deer. I didn’t see any deer when I was there. But It was a quick trip for me. 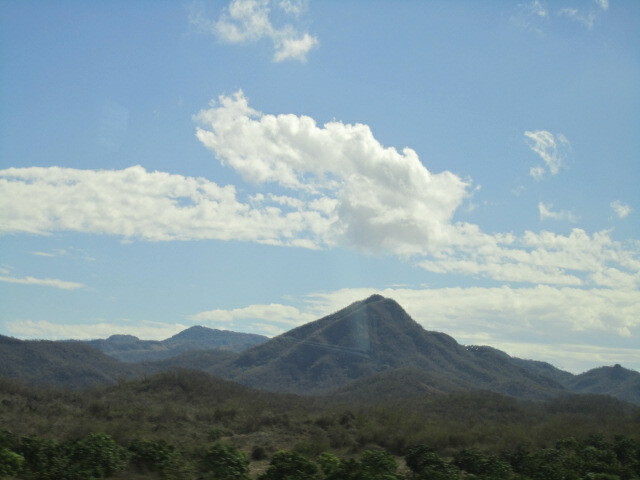 It took me an entire day to travel by first class bus from Guadalajara to the bus station in Mazatlan. It was an easy trip, even though we stopped often. The first class buses are really comfortable. I also have a DIF card. This is a card for old people, like me, and I can travel for half price on the nice long distance buses. I was only in Mazatlan for two days and then another day to return to Ajijic. My friend took me to Old Town, the Historic District, and we walked around there before most of the stores opened. It reminded me of Tlaquepaque. There were craft shops, restaurants and coffee shops everywhere. It was clean and beautiful. 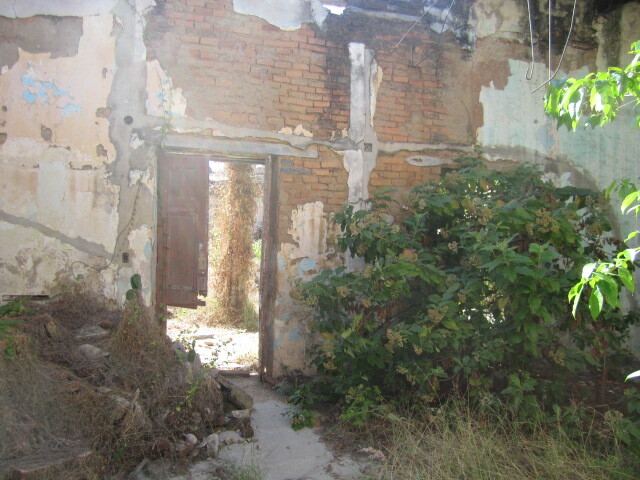 Many of the buildings were old. The one craft and art store that was open when we were there was very unusual. I went in and took photos. Check out the walls. They are made out of pink stone. Some of the buildings in the Historic District, were so old that it would cost a fortune to restore them. There were trees and weeds growing inside many of them. 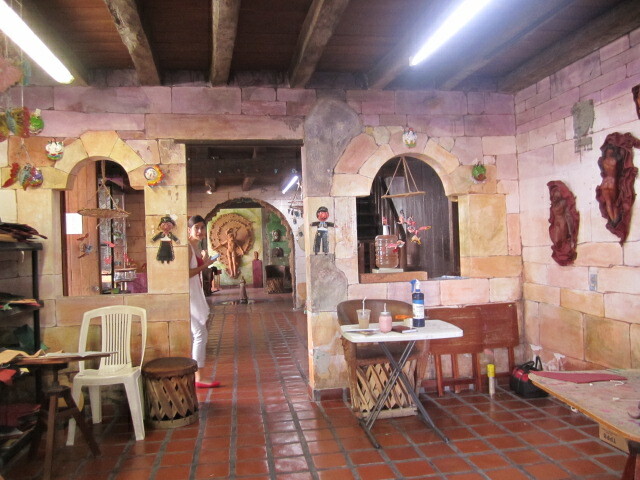 Other buildings have been restored and from the real estate ads, they are not cheap. 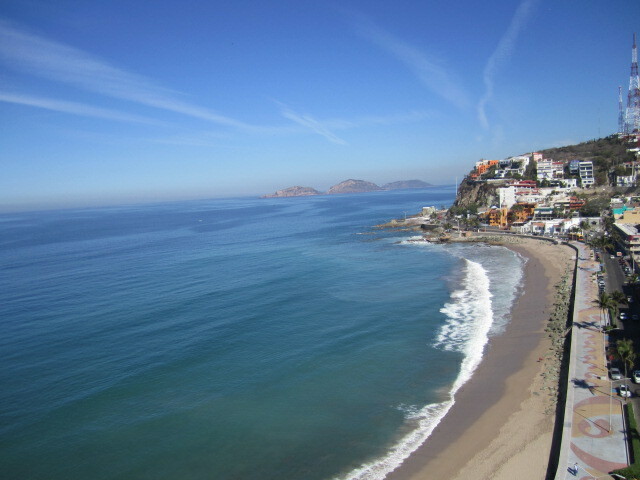 Mazatlan is a popular expat retirement community. 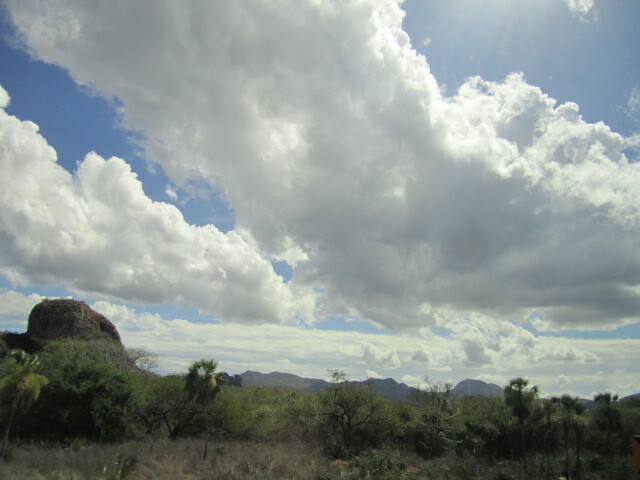 It is over a thousand square miles in area with a population of almost five hundred thousand people. I was surprised to see how large it is with new shopping centers everywhere. There was also a lot of traffic. I don’t particularly like large cities. I am more of a small town person. But many Expats love this city. 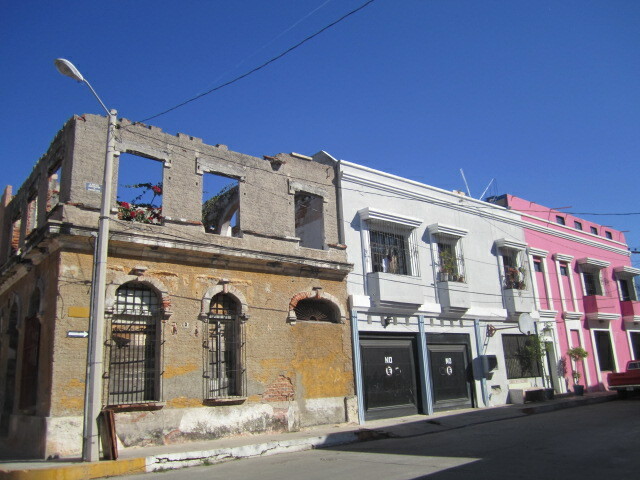 Above is a photo of an old building next to two beautiful, restored new ones. Below is the only mural that I saw. Maybe I wasn’t looking in the right places. Check out the building in the photo below. You can’t tell the inside of it from the outside of it. 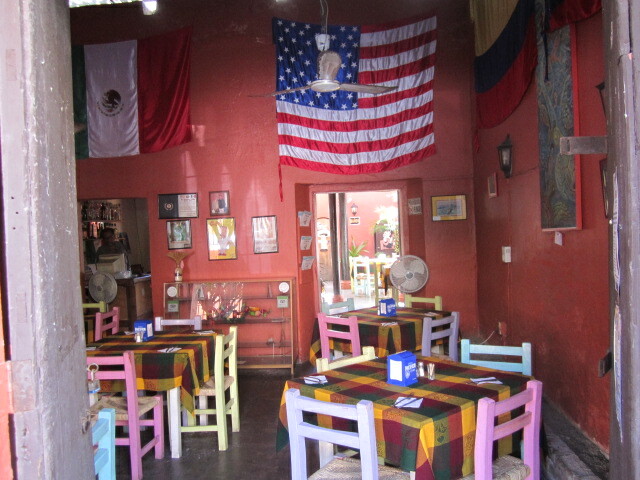 Below is a photo of one of the many small restaurants in the Historic District. I liked the American Flag on the wall. I wondered if this place belonged to An American Expat. 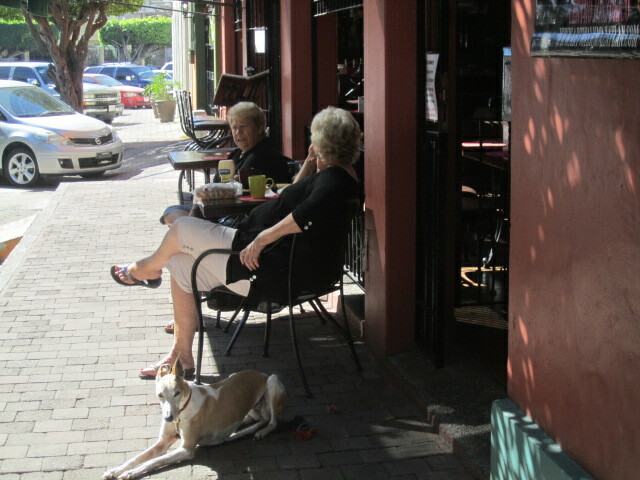 Below is a photo of two expats, enjoying their morning coffee outside of another restaurant in the Historic District. They looked relaxed and happy. So did their dog, a greyhound. Like a statue, the way he/she was sitting so still. I didn’t get close enough to tell which… Just a happy dog, enjoying the sunshine. We wanted to go into the museum but it wasn’t open when we were there. The prices in the restaurants that I saw were about twice what the restaurants in Ajijic charged. I was beginning to appreciate Ajijic more and more. I can afford to live there. I cannot afford to live in Mazatlan. Many of the local restaurants serve shrimp. Mazatlan is a center for shrimp and at night I could watch the lights from the shrimp boats going out to sea. I love shrimp but it was too expensive in the restaurants there. Guess I am spoiled by the prices in Ajijic. Lots of things were expensive there, compared to Ajijic. Even the exchange rate was well below what we got in Ajijic. 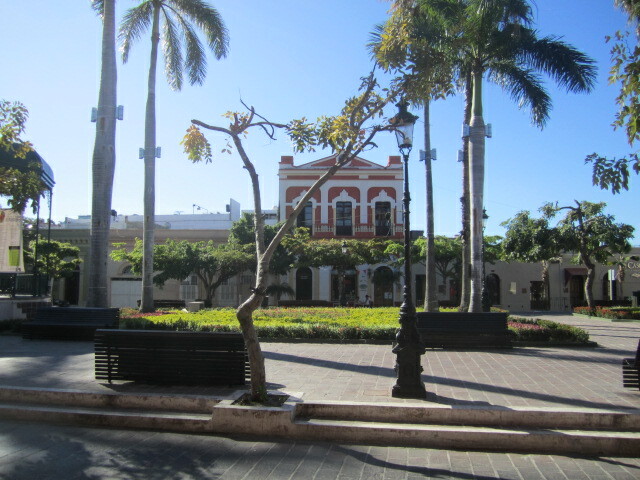 Mazatlan is a town for more well to do people. I was lucky to have been invited to a timeshare by a woman friend. 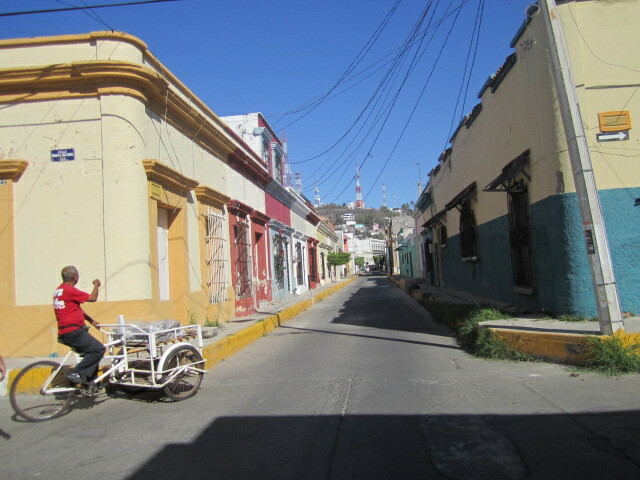 We walked from the old town to the four mile long Avenue Del Mar. It is the longest malecon in Mexico and connects to Zona Dorado (Golden Zone) where most of the hotels are located. I took the above photo on the malecon. 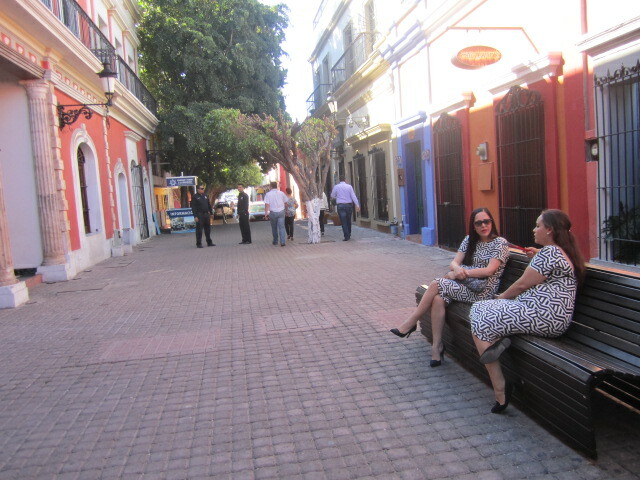 It was very peaceful along this malecon with lots of restaurants where the locals were having their morning coffee. People were friendly. 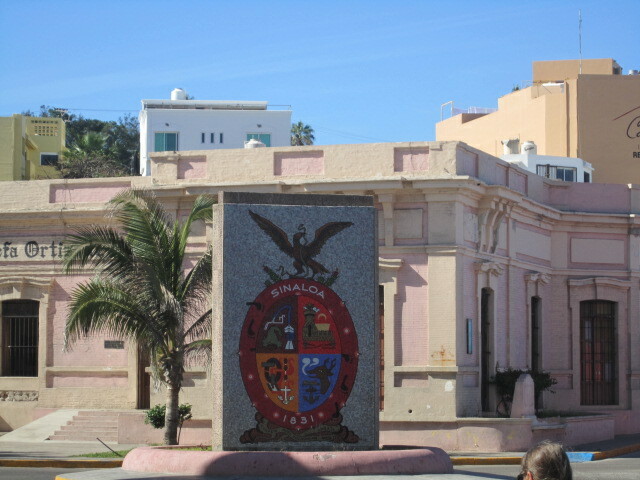 The above photo was taken of a monument along the malecon. I liked the building behind it. The photo and the two below were taken at the top of the Hotel Liberty in the Historic District. It was a lovely hotel, close to the beach. I liked the swimming pool. The views were spectacular from up there. I think it was the 15th floor. Check out the church in the middle of the photo above. The shoreline as seen from the hotel roof. 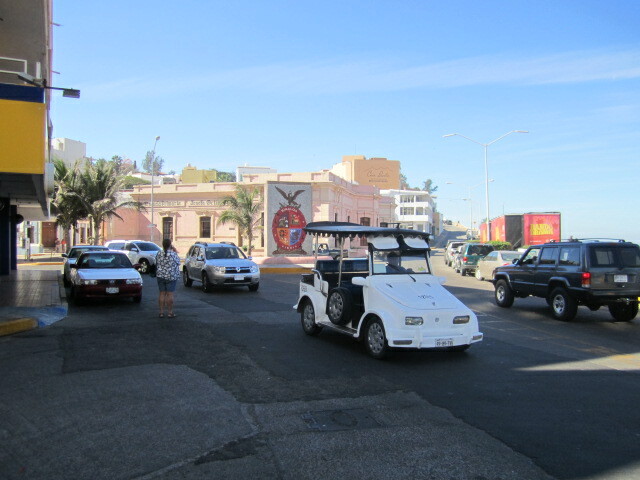 Below is a photo of one of the many popular open air golf carts that are used as taxis all over town. They are inexpensive and easy to flag down. They are called pulmonias which means pneumonia in Spanish because people believe they can get sick from the air. There are also flat bed trucks that are called Bronquitis in Spanish which in English Means Bronchitis. You can guess why. 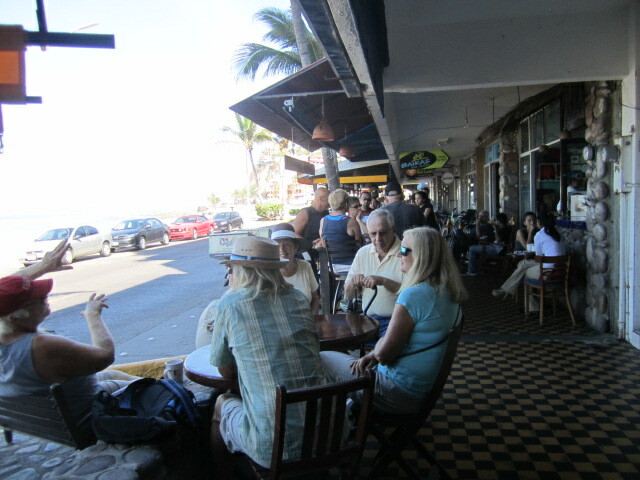 There were rows of outdoor tables and chairs filled with expats and Mexicans enjoying the sunshine. At this point I want to mention why I did not take photos of the downtown traffic or the large box stores and shopping centers which are all over Mazatlan. I figure that you can see that in any other large city. No need to photograph them for this blog. But just know that they are there. This is not a quaint city like it looks in the old town photos. It is a big city with lots of traffic and new shopping centers. 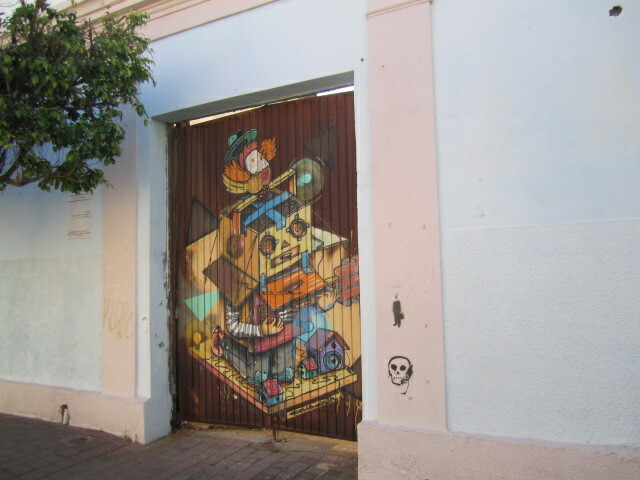 If you like that sort of thing, you will love Mazatlan. If you come from any large city in the States, you will feel right at home. The prices will be more like your U.S. home too. I liked the bar in the photo below. It was made out of an old boat, most likely a fishing boat. Or maybe it was made to look just like an old boat. I am easily fooled. I took the two photos below from the balcony of the timeshare where I was staying with my friend. It was a spectacular sunset that night. Because I was only there for two days, I did not even get to the beach. I was enjoying the swimming pools too much to leave. 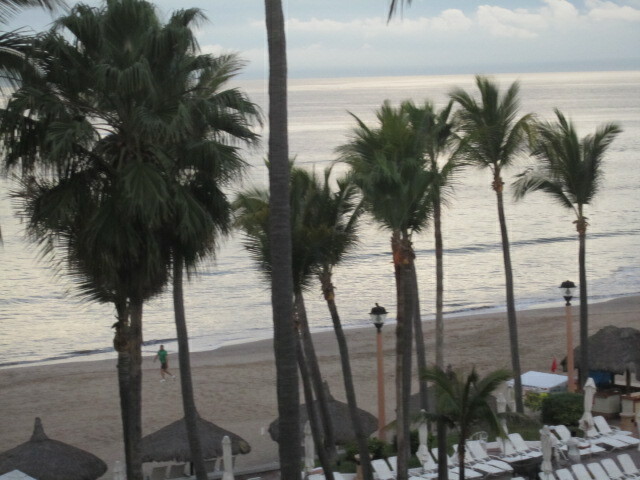 There were many Mexicans walking the beach, carrying things for sale. And of course, musicians too. I could hear their music from my poolside chaise lounge with my drink beside me. I had an interesting bus ride home. The bus was stopped for almost an hour while the traffic was diverted from the highway that went into Mazatlan, the one I rode on as I went into town. The highway had fallen into a very deep ravine. I hope no cars were on it at the time it happened. 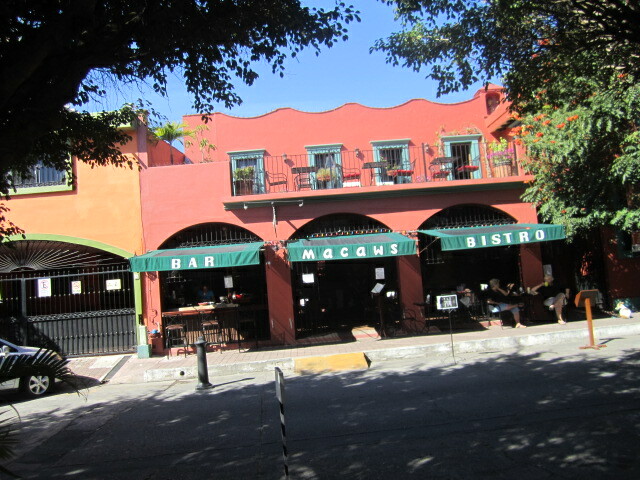 There are many small towns just outside of Mazatlan. They might be interesting to explore someday. You can see from the clouds in the next photo that we were traveling into a storm. When I arrived in Guadalajara I took a taxi home. I was too tired to deal with finding the bus in the rain that went from the new bus station to the old one and then taking a taxi home when I arrived in Ajijic. The taxis cost me much more than the bus rides. But it was worth it to not have to worry about changing buses and getting taxis from the new station to the old one. Unfortunately, the long distance buses are all located at the new bus station. The buses that go from Ajijic to Guadalajara all go to the old bus station. It is a long ways from one station to the other. So you make the choice, save time and take a taxi or be adventurous and have lots of energy to take a bus from one station to another. When I was younger, I would have chosen to save money. Now I want to save time and energy. I think I enjoyed the bus rides even more than my time in Mazatlan, of course not counting the fear of seeing the highway that had dropped off into a ravine. The first class buses have soft, comfortable seats that lean back and earphones with movies or music stations. There were only a few people riding them. We were even even given out lunches as we got onto the bus. It was fun to stop at the various small towns and buy different things that the venders brought onto the bus. I need to take more bus rides. I have been too sedentary. That is because I live in such a beautiful area that I get lazy and don’t want to explore. But I hope to do it more in the future. 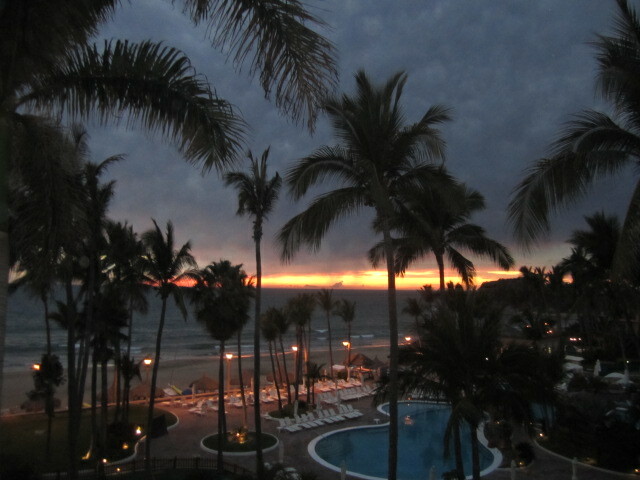 Mazatlan was worth the long day of getting there. Thank you, my friend, for the mini vacation. I hope I can repay you one day…. Very interesting article. I’ve never been there–may go there one day. Only to visit–I prefer to live in Ajijic by the sounds of things. I enjoyed your “bus trip” article. I am retiring in November and looking for a new home. I love everything I read about Ajiijic…. 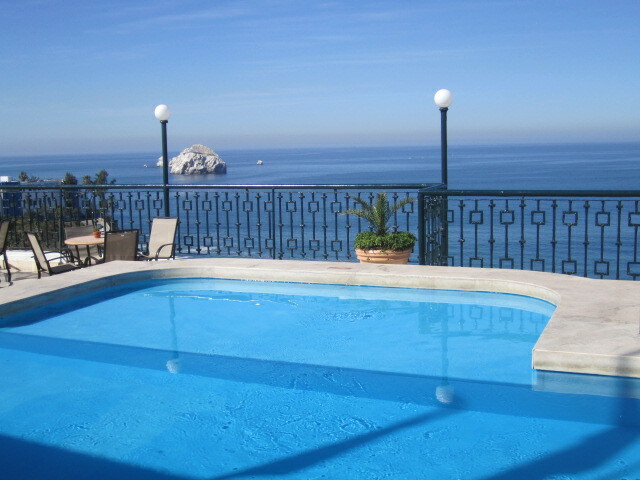 The access to wonderful cities such as Mazatlan will be very exciting. If you have any information about becoming an “expat” in Mexico, then please share with me. I am nervous but also excited about my planned retirement and move to Mexico. Chapala is beautiful. Right now I’m only able to spend a couple of months there each year but soon I hope to manage longer. Ajijic vs. Chapala discussions are interesting. I am Anglo/American, live in Ireland, hate flying. What was the travel time to Mazatlan from Ajijic? I see you stayed at Pueblo bonito Mazatlan! I have gone there 1 week a year for the last 20 years and is why I’m planning my relo now! You are correct I can go visit Mazatlan but could not afford it full time…. Thank you SO much for my unexpected “visit to Mazatlan” my regular Escape of Choice beginning 1960. It didn’t change much until a few years ago when cruise ships increased and an entrepeneur started a Tour Company using buses made like Cable Cars which brought folk down to the Old Town from the “Gold Zone” for dinner. I changed my Escape of Choice to Chapala. I wondered if you visited Hotel Bel Mar of which I have so many incredibly happy memories.